What are differences between hydraulic gooseneck and towing bar (draw bar)? 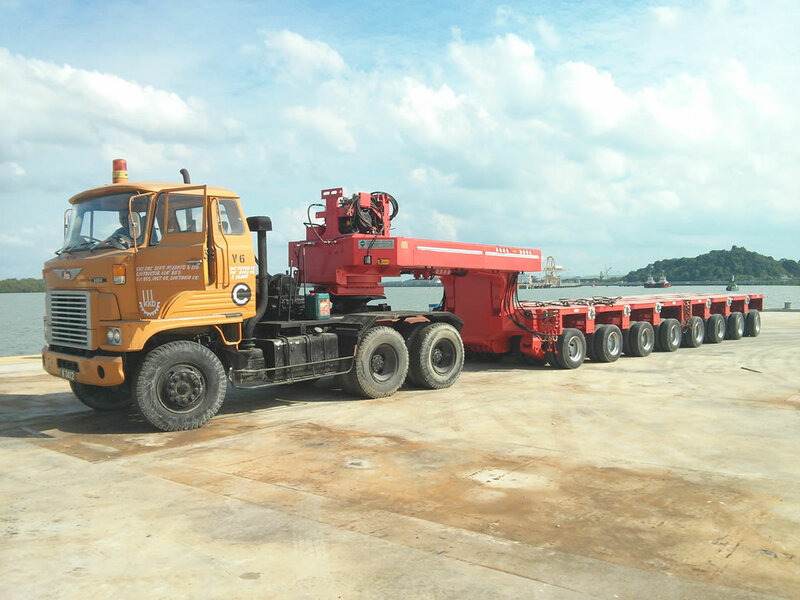 Normally powered gooseneck is equipped with small horse power diesel engine(power pack) and hydraulic cylinders. Here below are differences between them. With goose neck, hydraulic jack(cylinder) in the goose neck will put force on the tractor, no need to put counter weights on the truck(prime mover), and increase payload capacity and maneuverability of modular trailer. In China, gooseneck trailer (semi trailer) is allowed to run on high speed way, tow bar trailer (called full trailer) is not allowed. 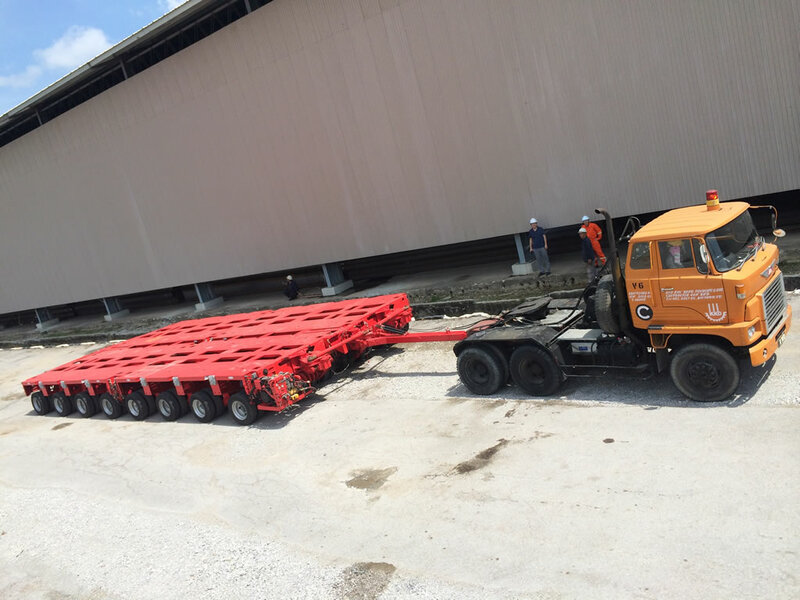 Hydraulic gooseneck can stabilize trailer on high speed drive. When turning in narrow road, manually steering on whole trailer is inevitable, it is easier to use tow bar instead of goose neck. The force of goose neck press to prime mover is adjustable. Height of kin pin on gooseneck is adjustable, make it easy to remove gooseneck from tractor. Gooseneck can not be worked with 4 or 3 files trailer(when trailer modules connected side by side), only tow bar can go it. When trailer is smaller than 7 lines, it is better to use tow bar. Because short trailer can not conduct enough hydraulic pressure to gooseneck. It is hard to back a draw bar trailer, easy to reverse a neck trailer. For manual control steering, tow bar is easier than neck. Above neck was made for COSCO who has original modular trailers from SCHEUERLE INTERCOMBI, the neck and the trailer are compatible and it can be connected with goldhofer trailer as well.